Oral translation is as old as the need for two language groups to communicate. There have always been those people who have played a part either for their own gain or to help understanding. As people began to travel more in search of trade and new lands the need for translators would have grown to match the demand for their services. Strictly speaking, most of the early translators would have been interpreters. 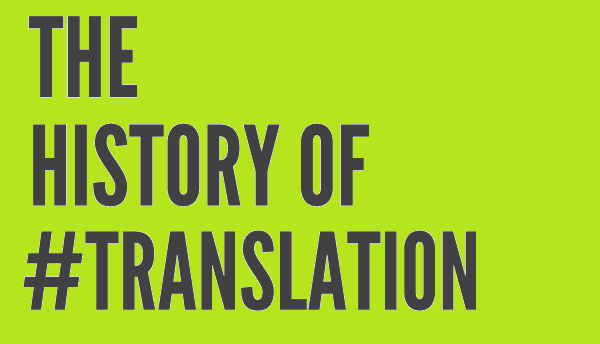 Translation really started when writing began. As soon as written communication became an important development, there was a need for it to be translated into other languages. Early translators helped in the dissemination of ideas and philosophies and were certainly instrumental in promoting trade as well. There is historical evidence of translation services being used to translate Indian medical knowledge into Ancient Greek, for instance, as well as translating Greek philosophy into Arabic in Baghdad. These ideas then re entered Europe via the Moslem conquest in Spain and elsewhere from the eighth century onwards. More recently, the need to translate the Bible into other languages gave rise to a spurt in the translation services industry but the growth in the number of translators who translated works of fiction as well as non- fiction from one language into another is largely undocumented. As the number of works of fiction grew worldwide throughout the twentieth century, the need for translation services to translate works in English into other languages and vice versa also grew. This sort of translation naturally expanded into the translation of TV series, film and other genres as the demand for foreign programmes grew worldwide. The need for effective and professional translation services has probably never been greater than today simply because of the volume of movement of people all over the world. Translation is needed for travel, business and trade, migration, the Internet, inter governmental cooperation and communication, just to mention a few areas. The focus more recently is maintaining high standards of translation and that is precisely what is provided by NAATI translation. By setting a benchmark for translation, it means that government agencies as well as companies and individuals can be assured that the document that they want translated is an accurate representation of the original text.